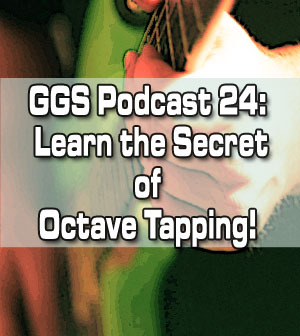 Home > Lessons > Podcast 24: Learn The Secret of Octave Tapping! http://www.guitargodsecrets.com – In this latest PODCAST episode, I’ll teach you how to train both your hands to “think” independently and pull off even more tricks than before. The key is learning what’s known as octave tapping which will help you visualize the fretboard easily. This way, you’ll give your playing that edge that will make you stand out from other players!